Certificate of deposit of $40,000 assigned to the State Treasurer’s office in Arizona. Operating a business in Arizona with in-state vehicles. Driver’s license or car registration suspension for 3 months. Subsequent car insurance law violations will result in more serious penalties. As mentioned above, you can decide to use a certificate of deposit of $40,000 assigned to the State Treasurer’s office in Arizona as a proof of financial responsibility. For more information on how you can open an account, contact the State Treasurer’s office in Arizona at (602) 542-7800. NOTE: If you are financing your car through lease agreement or loan, you may be required to buy comprehensive or collision coverage. Pay a reinstatement fee: $10 plus an application fee for suspended license $20 plus an application fee for revoked license. An application fee: 16 to 39 years old: $25 40 to 44 years old: $20 45 to 49 years old: $15 50 years old or older: $10. If your driver’s license or vehicle registration is reinstated after a period of suspension for violating traffic and insurance laws, you must file the SR-22 certification. SR-22 certification must be filed by your car insurance company with ADOT Motor Vehicle Division, and it usually lasts for 3 years. Arizona Department of Insurance is the body responsible for car insurance regulation. This department can help answer your car insurance questions and respond to your concerns. They also deal with car insurance frauds. The National Insurance Crime Bureau at (800) 835-6422. You can also report frauds by text to NICB. Send “FRAUD” to tip411. Always keep a clean driving record in order to get cheaper insurance rates. If you are considered a high risk driver, you may find it hard to get a company to insure your car. But good news is; you can insure your car through Arizona Automobile Insurance Plan (AAIP). These associations share the risk associated with damages and injuries caused by high risk drivers. 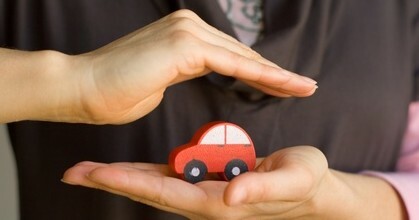 Car insurance through this plan is more expensive than that offered by open market insurance companies.